Next week, we will host our sixth annual Christmas Poetry Slam. That doesn’t mean everyone has to recite Christmas poetry, but they do have to recite a poem–preferably from memory. We don’t kick people out for reading off a paper, though. Seating is limited at my house, so the kids (even the grown up kids) get big floor pillows and sprawl all over the place. Curling up under quilts has become part of the evening, and a few years back I set a goal for myself to have a new quilt each year for friends to cuddle up with as we enjoy the evening’s poetry. 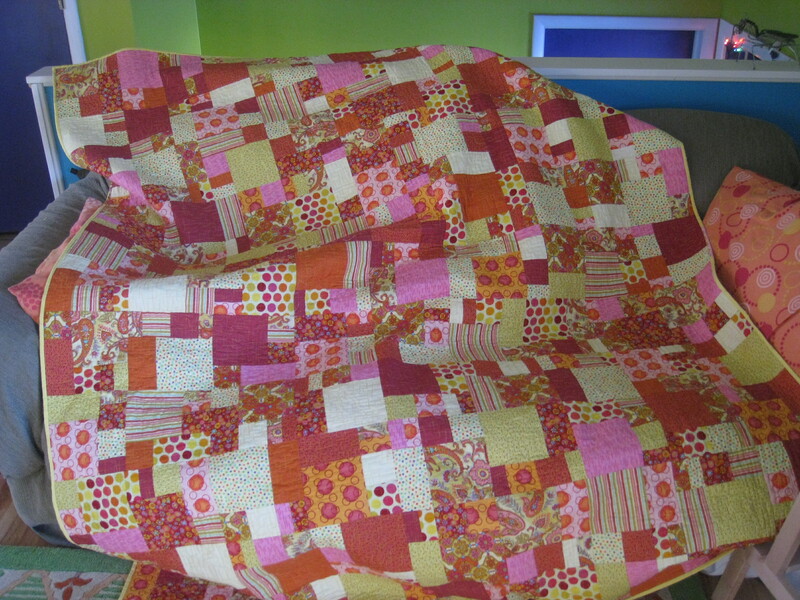 This year makes three quilts I have finished “for the party.” It has proven to be the only way that I make myself new quilts–but I’ve done it! Now I just need to figure out what selection of poetry I will recite. Everything Goes With a Grey T-shirt, Right? 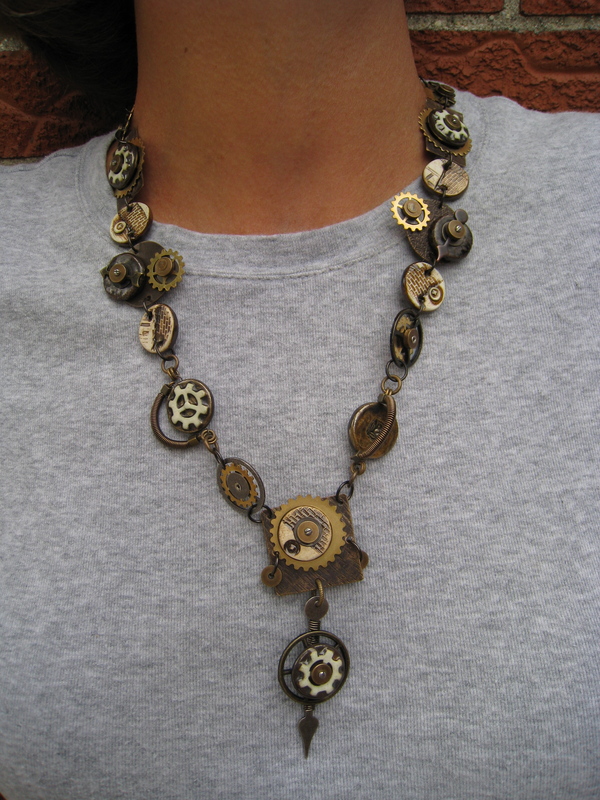 My wonderful husband surprised me with a new necklace while we were at Maker Faire. It’s by the lovely Melanie Brooks of Earthenwood Studio. At first I thought my tendency toward plain t-shirts and jeans just didn’t do it justice, but in reality it shows off quite nicely. 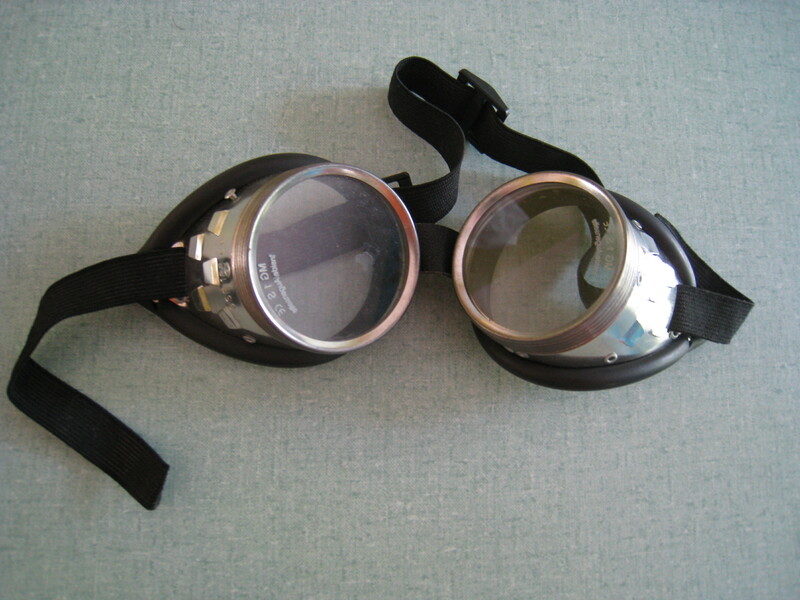 I’m considering always wearing it with my son’s German welding goggles to vamp up the Steampunk bit. That ought to shake things up in the produce section at the grocery store! The corsets, bustles and ruffles thing is just going to have to wait. Forever.